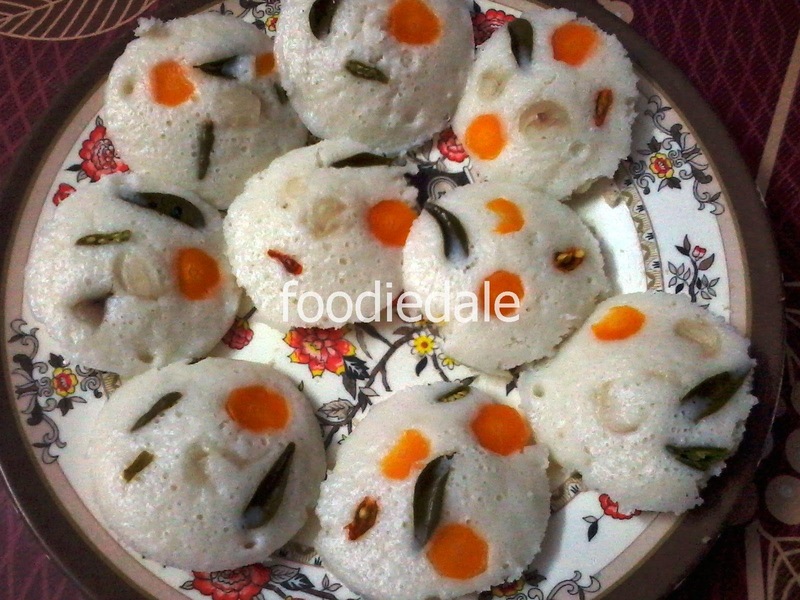 Idli or dosa to be the toppest cuisine..Idli is not only easy to make but also it is healthy and easy to digest..i suggest you whenever you plan for any long trip and if u planned to have your breakfast on the way..please don't hesitate to order Idli from any hotels...becoz its cooked on steam and it is safe for our health ....."
Soak urad dal and fenugreek seeds together in enough water for 4 hours. Soak rice in enough water for 4 hours. When four or more hours completes..drain water and wash thoroughly with clean water. Now combine both paste together in a big bowl and mix well and keep aside to ferment overnight. Next morning once the batter is fermented add salt to taste and mix well. Now put spoonful of the batter into an idli moulds and over it place the sliced carrots, onions and curry leaves and steam for 15 minutes. 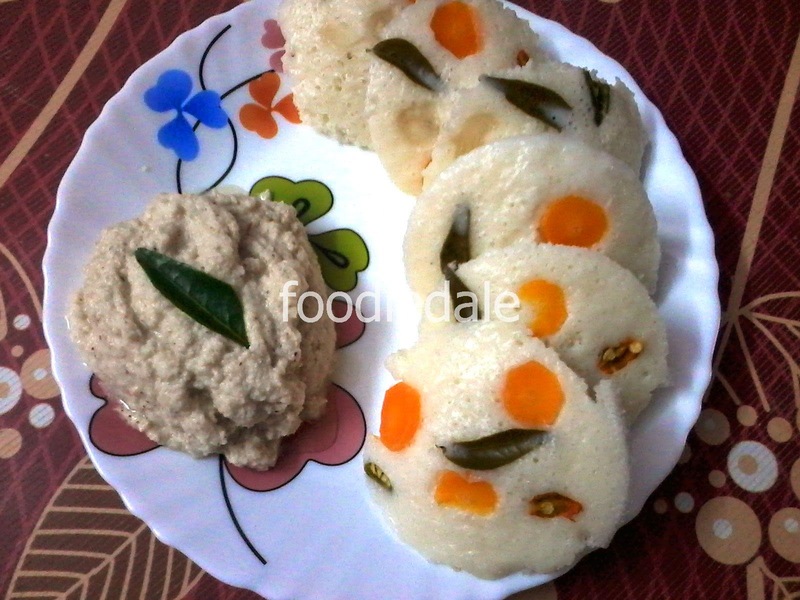 Repeat the remaining batter to make more idlis.